Does your home or business' siding and gutters look old and worn? Update your residence's appearance with products from A1 Siding and Gutter Company.We specialize in vinyl siding, aluminum seamless gutters, and trim work for residential and commercial customers. Using quality materials, we protect your roof from damaging water with sturdy gutters and help lower your utility bills with energy-efficient siding. Add value to your home with 5" or 6" seamless aluminum gutters and vinyl siding from us in Sequatchie, Tennessee. The right siding and gutters can make your home or business added appeal if professionals install it properly. At A1 Siding and Gutter, we have 30 years of contracting experience and started the business to provide customers with first-class service. We treat your home as if it belongs to us so all work is done neatly and correctly the first time to avoid delays and extra cost to you. You receive quality workmanship, professionalism, and competitive pricing when our gutter and siding contractors do your job. 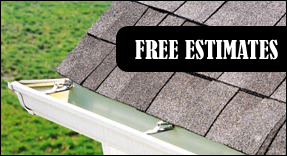 Contact us today at (888) 855-0758 for a free estimate on vinyl siding and 5" or 6" seamless aluminum gutters. Hours of Operation: Monday–Friday, 7 a.m.–7 p.m. | Saturday, 7 a.m.–4 p.m.
Add value to your home with 5" or 6" seamless aluminum rain gutters & vinyl siding in Tracy City - 37387, Monteagle - 37356, Jasper - 37347 & Sequatchie, Tennessee.